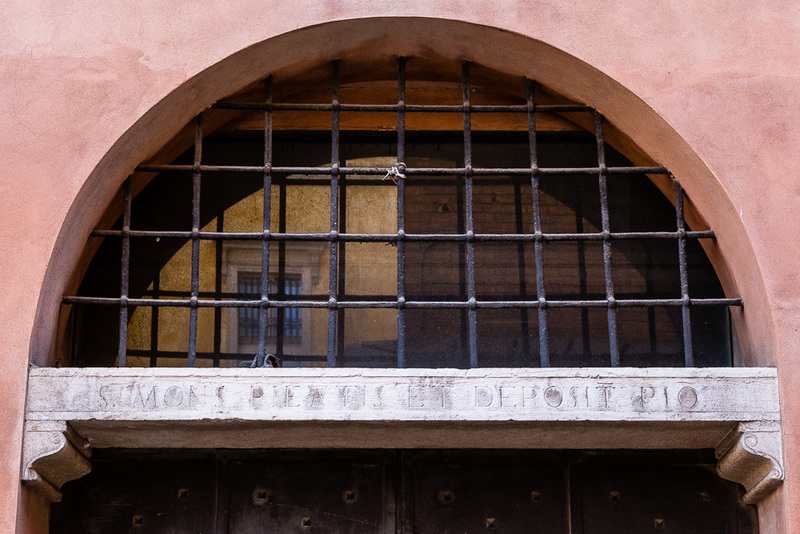 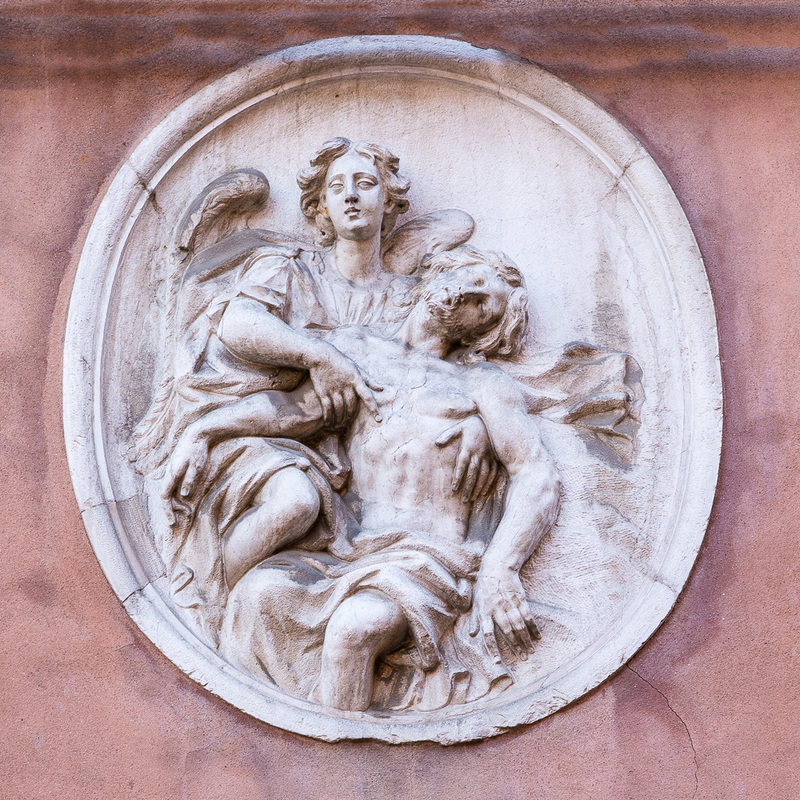 The building originally owned by Valerio Mainardi, was destined in 1492 as seat of the Sacro Monte di pietà of Ravenna (pawn bank) one of the first in Italy. 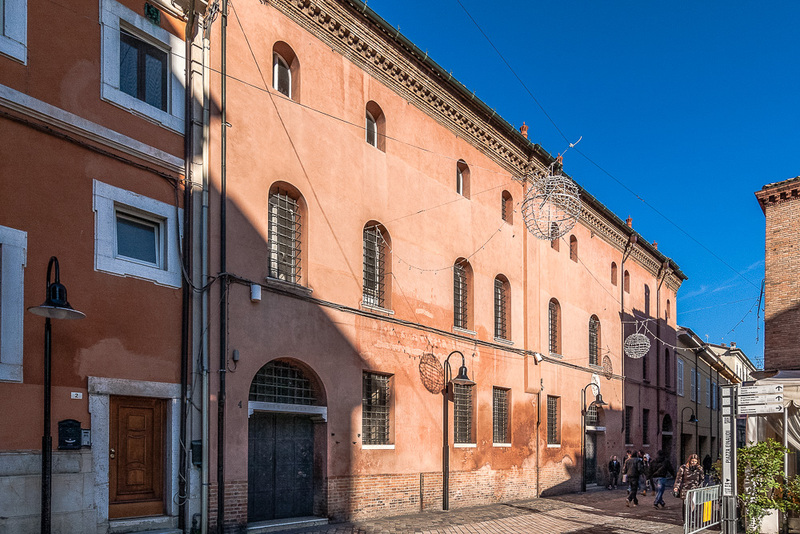 It was set up by the archbishop Filasio Roverella urged by Bernardino da Feltre (1439-1494),with the aim to contrast the monopoly and high interest rates of the Jewish pawnshops who were supported by the Venetian doge Agostino Barbarigo. The building preserves its 15th century original structure. 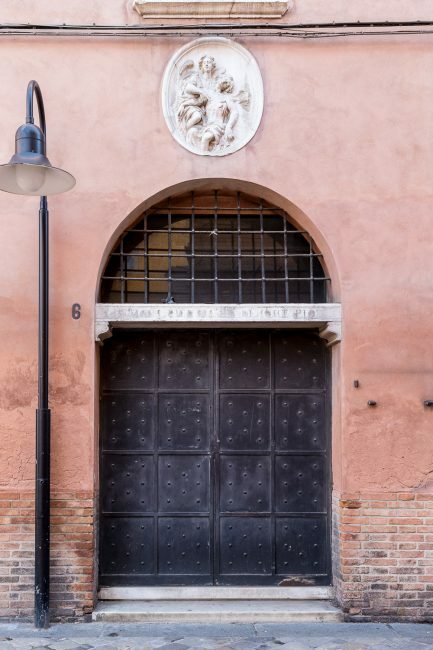 The facade with the terracotta cornice and the little rounded arch windows was decorated with frescoes by Niccolò Rondinelli (around1450-1510); some traces of his works can be seen inside on some wooden roofs.